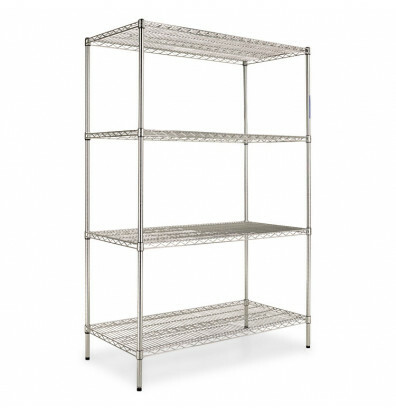 Alera SW504824SR 4-shelf heavy duty wire shelving unit features an ideal storage solution for industrial and commercial use. Snap-together design easily assembles in minutes. Strong welded wire construction for lasting use. 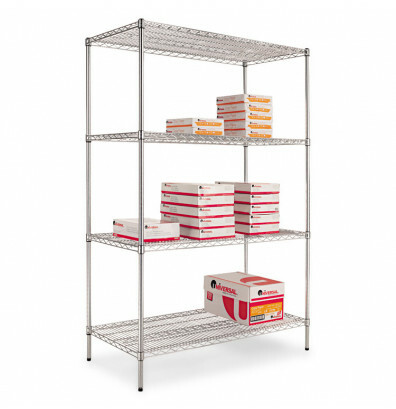 Can be set up as a four-tier single rack or as two two-tier racks to meet specific needs. Open design allows air circulation and reduces dust build-up. Maximum weight capacity up to 4000 lbs.